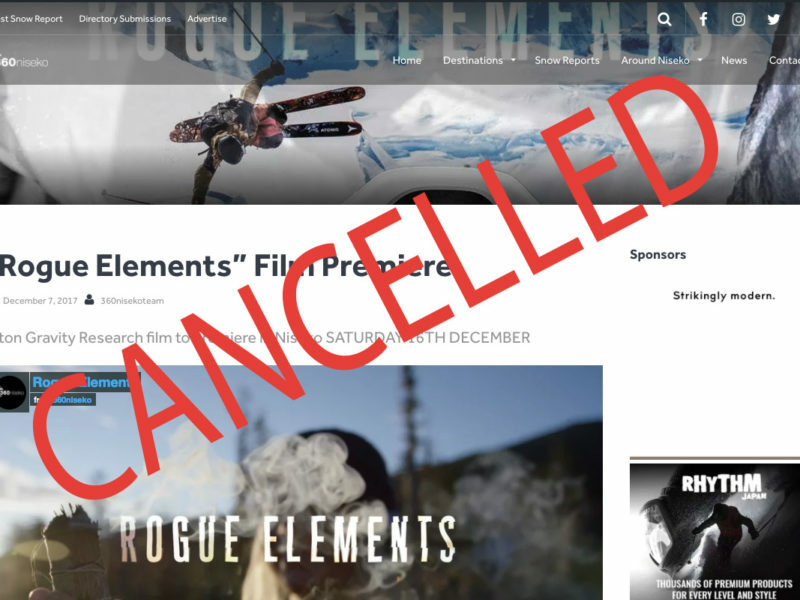 Teton Gravity Reasearch film “Rouge Elements” AT the Niseko Chomin centre as previously advertised for tonight SATURDAY 16TH DECEMBER has been cancelled. 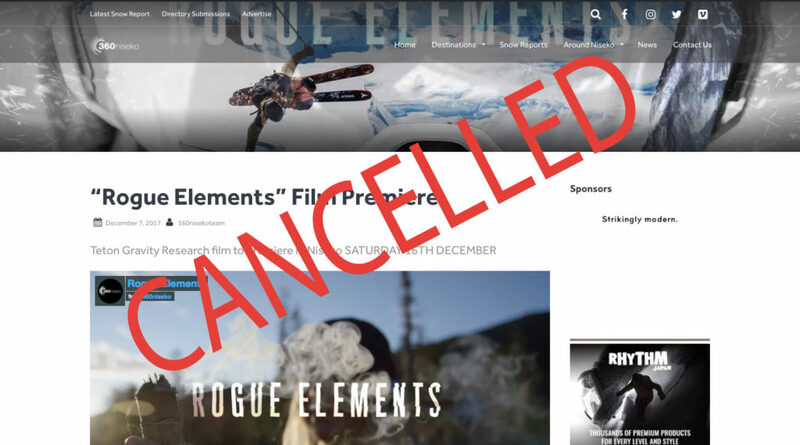 For anyone who has bought a ticket at Rhythm Summit or Rhythm please return your wrist band for a full refund. 360niseko would like to apologies for any inconvenience or disappointment caused and thanks our Rhythm and Tamashii Bar for helping out. Let’s keep the stoke burning and see you out on the mountain!